The 297th Infantry Division (German: 297. Infantrie-Division) was an Infantry Division within the German Army, active during the Second World War. 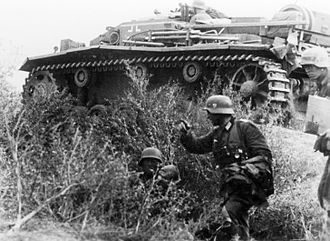 It was one of the components of the 6th Army during its failed attack on Stalingrad. The 297th Infantry Division was activated on January 31, 1940, and raised in March as part of the eighth wave of Wehrmacht divisions, assembled from the men of Military district "WK VII", which is now Bruck an der Leitha and the surrounding Lower Austrian areas, out of men from the 27th; 44th; 45th; 57th and 268th Infantry Divisions. 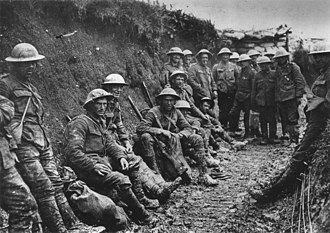 The divisions of the eighth wave were referred to by some as the "class of 1918", as they consisted largely of young men born in that year, who would be the ages of 21 and 22 upon being called-up. 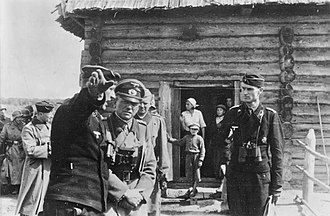 The division served as an OKH reserve division throughout the Western Campaign of 1940, later being re-stationed in Poland in July 1940 as the initial preparations for Operation Barbarossa were made. The 297th Infantry Division attacked through Ukraine as part of Army Group South to meet its objective in conquering Kiev. The division first aided in the capture of Zhytomyr in July, followed by Uman the following month before taking out Kiev in September. It then proceeded to go through a war-torn Kharkov and into Rostov before the year ended. During the take-over of Ukraine, the division served as part of the 6th Army's XLIV Corps, under General of the Infantry Koch. The division survived the hazards of the Soviet winter offensive, being moved around the 6th Army in January as the Wehrmacht prepared to continue their assault on the Soviet Union, helping to re-take Kharkov in May. The division's commander, Lieutenant General Max Pfeffer, anticipating a long upcoming struggle, joked to a Captain under his command over the latter's reluctance to accept a transfer offer to France, saying "just be happy that you're getting a break. 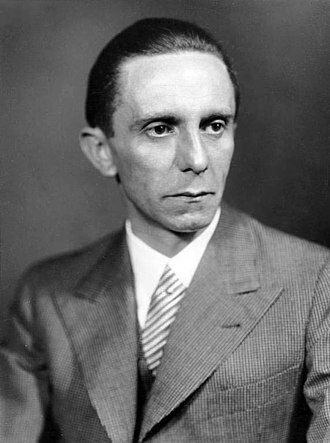 The war will last long enough and be terrible enough for you to get a good taste of it." On June 10, the division began crossing the Seversky Donets River by assault boat, constructing a bridge for other units, including the 14th Panzer Division. The division continued to make inroads around the black sea to take down the industrial city of Stalingrad, serving in IV corps under General of the Engineers Erwin Jaenecke. During the Battle of Stalingrad, some units within the division were seen to construct caves which would later be transformed into a field hospital and an equipment storage room. 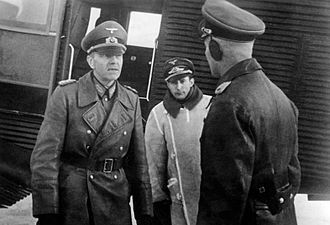 The division fought in the ruined city until Field Marshal Friedrich Paulus' surrender in January 1943, with the 297th division's and IV Army Corps mutual commander, General Pfeffer, following suit into Soviet captivity on the 16th. 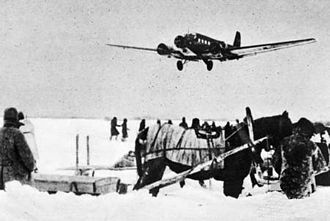 With the airfield lost to the Red Army, the division was so badly-beaten it could hardly be considered a proper fighting force. 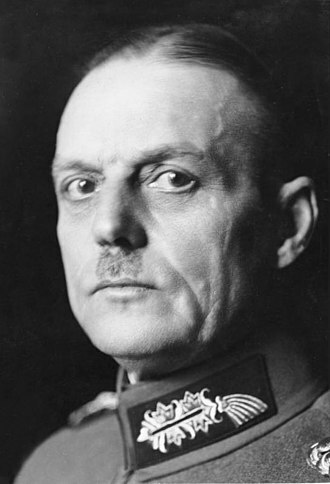 Pfeffer's successor as division commander, Major General Moritz von Drebber, finally surrendered to the Red Army a mere nine days later. 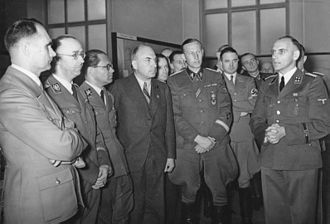 A photograph of Drebber and several other Axis commanders was taken; one of the men photographed was Dr. Otto Renoldi, the chief surgeon for the 6th Army. A chaplain for the division was executed by a Soviet officer when he bent over to treat a wounded man. The division was recreated in Bordeaux in the summer of 1943 before being sent over to Yugoslavia in July, where it took part in anti-partisan activities. In November, elements of the division were transferred-over to the newly formed 367th Infantry Division. In February 1944, its commanding officer, Lieutenant General Deutsch, was injured in a car accident in Vlorë, dying the following month; Lieutenant General Gullmann took over for several days before command transferred to Lieutenant General Baier. 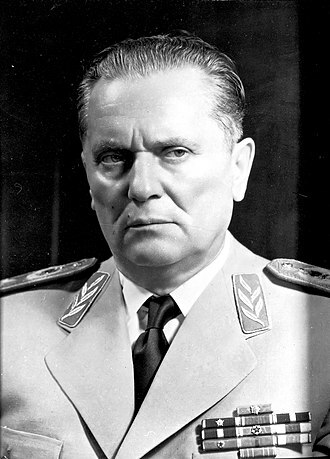 By the Autumn of 1944, the division was in a retreat to Montenegro from the growing forces of Josip Broz Tito, soon after being under attacked from the approaching Soviet Army. 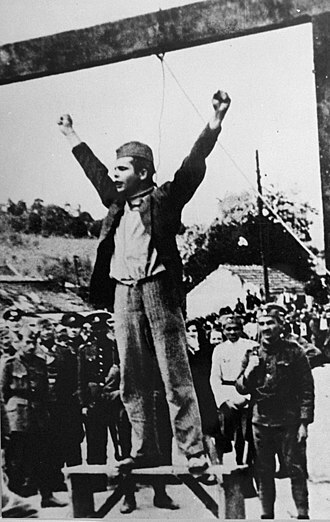 The division remained active up until German surrender in May, 1945, when its men gave themselves up to the Yugoslavs. ^ Mitcham, Samuel W. (2007). German Order of Battle: 1st-290th Infantry divisions in World War II. Stackpole Books. 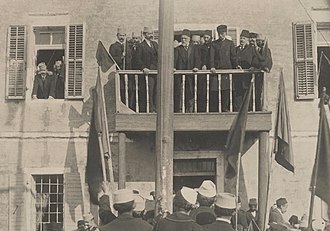 p. 91. ^ a b c d e f g Mitcham, Samuel W. (2007). German Order of Battle: 291st-999th Infantry divisions in World War II. Stackpole Books. pp. 16, 27, 83. ^ Dunn, Walter Scott (2003). Heroes or traitors: the German replacement army, the July plot, and Adolf Hitler. Greenwood Publishing Group. p. 11. ^ Kamenir, Victor (2009). The Bloody Triangle: The Defeat of Soviet Armor in the Ukraine, June 1941. Zenith Imprint. p. 264. 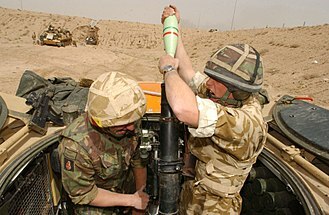 ^ a b c d Beevor, Antony (2007). Stalingrad. Penguin UK. ^ a b c Antill, Peter; Dennis, Peter (2007). Stalingrad 1942. Osprey Publishing. pp. 10–11, 73. ^ Hitler, Adolf; Heiber, Helmut (2003). 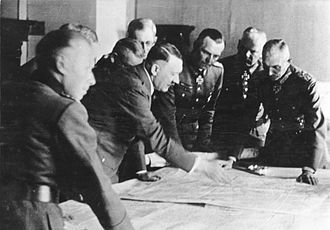 Hitler and his generals: military conferences 1942-1945 : the first complete stenographic record of the military situation conferences, from Stalingrad to Berlin. Enigma Books. p. 1106. Kharkiv or Kharkov is the second-largest city in Ukraine. In the northeast of the country, it is the largest city of the Slobozhanshchyna historical region, the city has a population of about 1.5 million people. Kharkiv is the centre of Kharkiv Oblast and of the surrounding Kharkiv district. The city was founded in 1654 and after a humble beginning as a small fortress grew to be a centre of Ukrainian industry, trade. Kharkiv was the first capital of the Ukrainian Soviet Socialist Republic, from December 1919 to January 1934 and its industry specializes primarily in machinery and in electronics. There are hundreds of companies in the city, including the Morozov Design Bureau and the Malyshev Tank Factory, the Turboatom. Some sources indicate that the city may have named after the Hunnic name for swan. 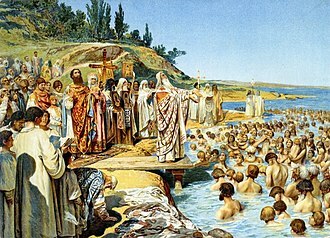 Other sources offer that the city was named after its near-legendary founder, archeological evidence discovered in the area of present-day Kharkiv indicates that a population has existed in that area since the second millennium BC. 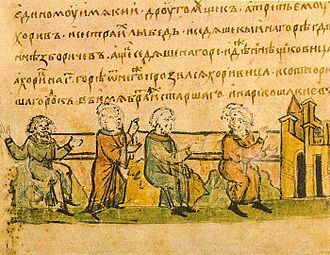 Cultural artifacts date back to the Bronze Age, as well as those of Scythian and Sarmatian settlers, there is evidence that the Chernyakhov culture flourished in the area from the second to the sixth centuries. The city was founded by re-settlers who were running away from the war that engulfed Right-bank Ukraine in 1654, the years before the region was a sparsely populated part of the Cossack Hetmanate. 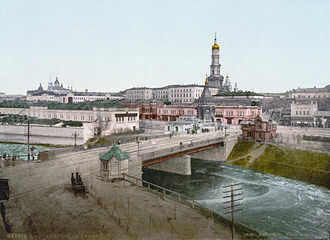 The group of people came onto the banks of Lopan and Kharkiv rivers where a settlement stood. 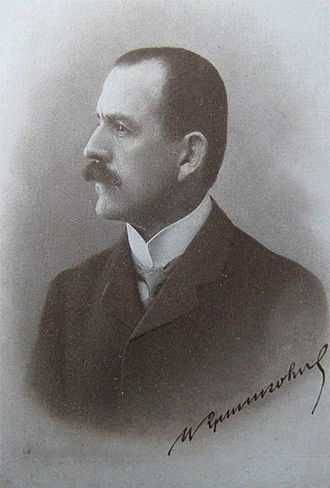 According to archive documents, the leader of the re-settlers was otaman Ivan Kryvoshlyk, at first the settlement was self-governed under the jurisdiction of a voivode from Chuhuiv that is 40 kilometres to the east. 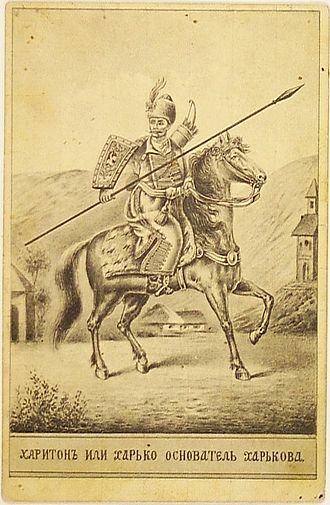 The first appointed voivode from Moscow was Voyin Selifontov in 1656 who started to build a local ostrog, at that time the population of Kharkiv was just over 1000, half of whom were local cossacks, while Selifontov brought along a Moscow garrison of another 70 servicemen. The first Kharkiv voivode was replaced in two years after constantly complaining that locals refused to cooperate in building the fort, Kharkiv became the centre of the local Sloboda cossack regiment as the area surrounding the Belgorod fortress was being heavily militarized. Bruck an der Leitha is a city located in Lower Austria, Austria at the border to the Burgenland, which is marked by the Leitha river. In and around Bruck parts of tools were found, which makes it likely that there was a settlement at that time. In Roman time, there was the crossing of two roads, one of them being the Amber Road, the other a link to the Via Militaris. The important Roman army camp Carnuntum was located ten miles northeast of Bruck at The Amber Road. In Bruck a Roman fortification is said to have been at the place of Schloss Prugg, after the end of the Roman Empire, the first traces of new settlement date from around 900. 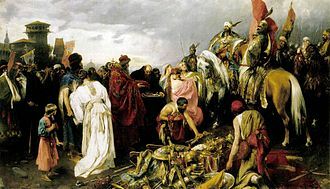 Graves from this time show Hungarian and Francian/Bavarian influence, in 1074 the settlement is first documented as Aschirichesprucca and elevated to the status of a city in 1239. During the 13th century Bruck was rebuilt according to a rectangular street-scheme north-east of the old settlement, though quite strongly fortified since, Bruck never played an important role in a military conflict. The 44th Infantry Division was formed on 1 April 1938 in Vienna, about two weeks after the Anschluss of Austria. 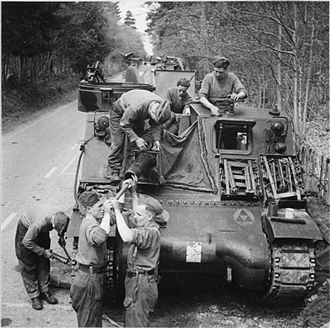 It first saw combat at the start of the war in the Invasion of Poland, after a 9-month period of coastal defence the division was transferred East. On 22 June 1941, the took part in the invasion of the Soviet Union. 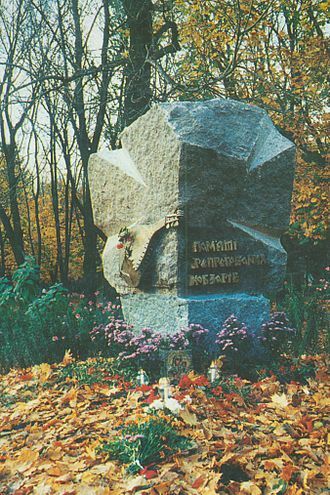 It remained in the east after the failure of Operation Barbarossa, taking part in actions for the winter against the Soviet Army offensives near Izum. Refurbished, the participated in the German summer offensive, and was subsequently destroyed with the 6th Army at Stalingrad in January 1943. 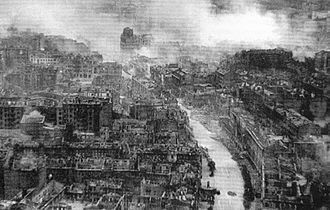 The division was rebuilt as Reichsgrenadier-Division Hoch- und Deutschmeister in Belgium when Hitler ordered the Stalingrad divisions should be reconstructed, by the summer of 1943 it was back up to strength and sent to fight in Italy, where it was heavily engaged at Monte Cassino. 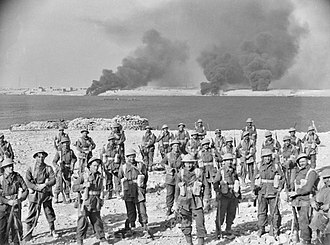 It withdrew up the Italian peninsula during 1944 and briefly clashed with American forces attacking the Gothic line, withdrawn to refit, it was instead sent to oppose the Soviet breakthrough in Hungary. 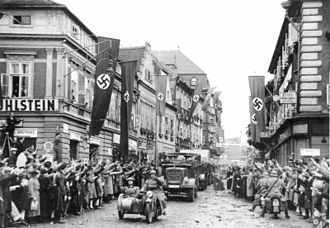 The division joined the efforts to recapture Budapest with the 6th SS Panzer Army, the remnants of the division retreated into Austria, until the final days of the war, when it marched west and surrendered to the American forces near Linz. The unit was established on 1 April 1938 shortly after the annexation of Austria from elements of the Austrian army, the usual establishment called for around 15.000 men. In January 1940 the Feldersatz Battalion was detached and became the 3rd battalion, 443rd infantry regiment, 164th infantry division, the German Army continued to expand, in February 1940 the 10 divisions of the 8th wave were created. 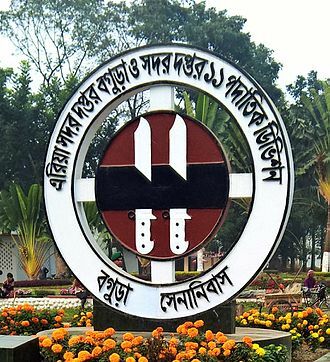 The 44th gave up 2nd battalion 143 Infantry Regiment which became 1st battalion 523rd Infantry Regiment,297 Infantry Division, in September 1940, one third of the division was detached to form the 137th Infantry Division. The German Army formed new divisions by detaching one-third of two existing divisions, raising the remaining parts from new recruits, in this manner only one-third of the two old and one newly created divisions were new recruits. Kyivska (Kiev) street looking West toward St. Michael's Cathedral. Photo early 1900s. View of the Donets and Sviatohirsk Lavra, the Holy Mountains. Donets in Luhansk Oblast, near Shypylivka. Tito's birthplace in the village of Kumrovec, Croatia. German infantryman seeking protection from desert dust: Western Desert: 1942. Captured Italian soldiers parade through Bolzano.